I'm Etsuko. I enjoy traveling, listening to western music, studying Japanese, and world history. I love to meet new people and talk with them. I like to visit Shinto shrines and Buddhist temples and practice Zen meditation in my free time. I am a sake and wine lover. I have a Kikizake-shi (Japanese sake master) license. 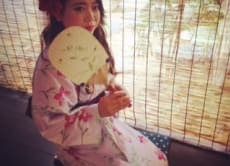 I would like to introduce foreign visitors to Nara through the experience of walking around outside wearing kimono or yukata.